From ‘Renovation Today’ we offer you all the information about the new exhibition that SpazioFMZ has inaugurated last Thursday. Curated by Khoury himself with Luca Molinari and under the name of ‘In order of appearance’, this exhibition will be opened from October 20 to December 2. This is a story told through drawings, photographs and words describing the artistic vision of Lebanon’s most visionary and unpredictable architect. Khoury was born and grew up in Beirut, a place with a complex history at a crossroads of different cultural and religious traditions, and developed a highly personal aesthetic unlike anything in the contemporary architecture scene, expressed in his career as an architect, curator and author. 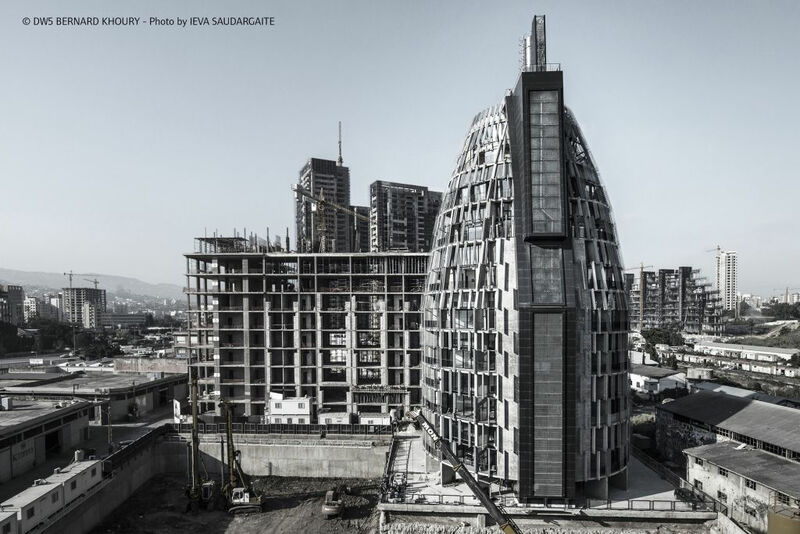 The buildings designed by Bernard Khoury / DW5, the studio he founded in Beirut in 1993, are among the most spectacular landmarks in the city that has been under constant convalescence. 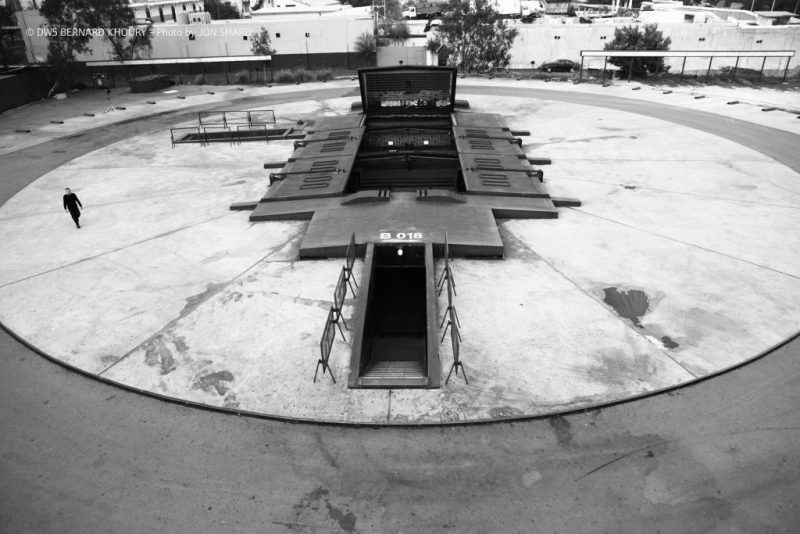 The underground nightclub B 018 (1998) celebrates the unbridled hedonism of Lebanese nightlife with its roof that slides open onto the starry sky; the antennae lighting up the pool terrace on the N.B.K. 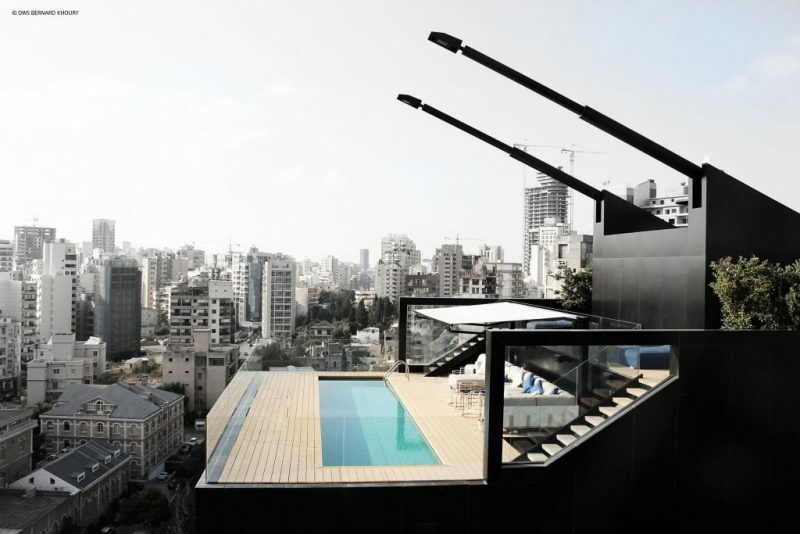 Residence (2013) shine like beacons along the Beirut skyline; and the recent Plot #4371 (2015), concentrates 29 apartment/studios for the capital’s new creative élite around a gigantic round freight lift measuring 30 square metres. To present this unique figure to the public, SpazioFMG and Bernard Khoury together selected more than 100 drawings, visions and photographs in which real and imaginary buildings and spaces in the city overlap, dialogue and blend together. The exhibition also engages the visitor with 16 stories told by “Talking Objects” suspended here and there in the gallery, from which Bernard Khoury’s own voice can be heard.